re-evaluate your purpose and define life goals. I also specialise in working with clients who are experiencing stress which is affecting them in the workplace. Read more about stress and fatigue coaching here. I offer face-to-face, email, video chat and phone coaching, so you can choose your preferred method. 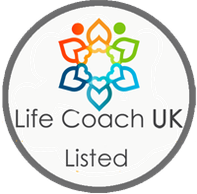 "I attended coaching to help improve my depression. We worked on what were the most important aspects of my life, what I enjoyed and identified stress. Susanne gave me the skills to take back control of my life and move forward at my own pace. The benefits of these sessions are that I am able to plan my time much more effectively. I ensure I am getting out, being sociable, enjoy hobbies and interests. I can identify stress and feel much more able to cope. Therefore, I feel much happier and more confident. At each session, Susanne was relaxed, organised and non-judgemental. I found her to be friendly, supportive and dedicated to helping me." Address: 57 Farme Castle Court, Rutherglen, Glasgow.